Take part in the world’s largest annual technical water quality conference by contributing your work in water quality, wastewater, and stormwater. 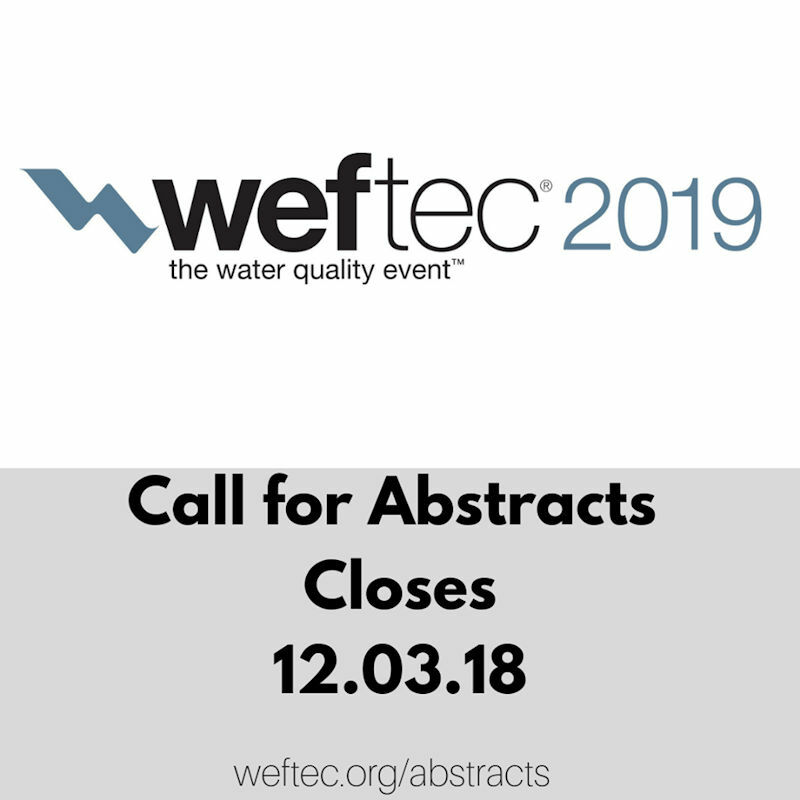 For the opportunity to present your work at WEFTEC 2019, submit a technical presentation abstract by Dec. 3. The technical presentation call for abstract (PDF download) provides information on formatting, topics and focus areas, and sample abstracts. This opportunity allows water sector professionals to and inspire colleagues with information they need to meet workplace challenges. For more information, send an email to speakers@wef.org. WEFTEC 2019 will be held Sept. 21–25 at McCormick Place in Chicago. More than 847 companies already have reserved more than 26,800 net m2 (289,000 net ft2) of space.